Methods for sampling or testing for varroa mites are important. You can not rely on visual inspection. Varroa mites are the #1 killer of honey bee colonies. Beekeepers who understand the importance of testing for varroa mites are more successful. 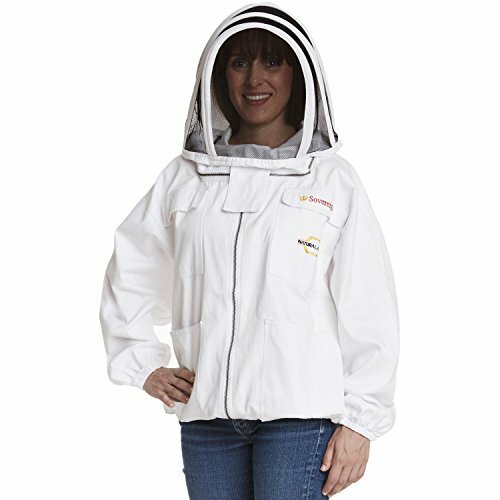 Beekeeping is not as easy as it used to be. The bees themselves haven’t really changed but the world they live in has changed. Older beekeepers who failed to adapt to the changes in beekeeping lost their colonies. We can not keep bees as we did in “Grandpa’s Day”. New methods must be in place for mite control. In the mid 1980’s beekeeping changed forever with the arrival of Varroa Mites in the United States. We believe they first migrated into the Us from Mexico. Colonies not killed by Varroa grow weak and unproductive. Many colonies die during winter as the weak bees cannot sustain the hive. Varroa mites and our European honey bees are having a very difficult time as hive mates. Yet, Varroa Mites and bees do share a connection. The 8-legged arthropods are actually distant relatives of the honey bee. You know, like that annoying relative that comes to visit and doesn’t known when to leave. 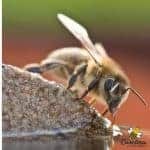 Varroa is the most well-known mite in connection with honey bees but they are not the only mites in a hive. More than 40 different types of mites inhabit most honey bee colonies. Only a few kinds of mites are harmful to the bees. Varroa Mites are an external parasite of honey bee adults and brood. They are native to Asia where they parasitize colonies of Apis Cerana (the Asian Honey Bee). 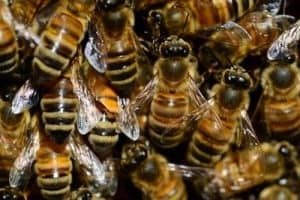 The varroa mites and Asian bees have developed a symbiotic relationship over thousands of years. Varroa are able to feed and reproduce within the bee colonies and cause little harm to their host. So, the bee colonies can deal with an infestation of varroa. The species of honey bee found in the US is Apis Mellifera (the European Honey Bee). Our bees have no resistance to Varroa Mites. 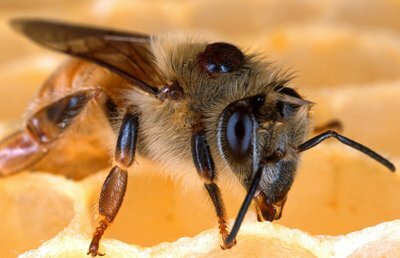 Our European Honey Bees might develop a relationship with Varroa Mites over time. Varroa mites and bees like Apis Cerana evolved a co-existence. True evolution of our bees could require hundreds or thousands of years. Some resistance may develop sooner but this is unknown. Why Is Testing for Varroa Mites Necessary? These mites are external pests. You can see them right ? Well, yes you can but its not easy. By the time you see the mites, it could be too late for the colony to rebound from the mite infestation. The Varroa Mite (known as Varroa Destructor) is a large mite. Adult mites are the size of a pin head and can be seen with the naked eye. Often, mites burrow in between the exoskeletal plates of adult bees. Here they bite and feed on the hemolymph (blood) of the honey bee. What is the most important thing you need to know about varroa mites and your bees? It is not the Varroa Mites we see that are the biggest concern- adult mites do weaken bees and transmit viruses. 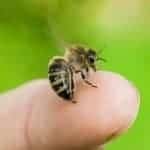 But, it is the harm done to young bees (brood) that is the most damaging. This is why we use methods of testing for varroa mite levels of infestations regularly. We want to prevent new generations of bees from attack. Honey bee colonies produce 2 types of brood (young). Normally a healthy colony contains worker brood (females) and drone brood (males). The time frame from egg to adult bee differs. Worker bees emerge on day 21 from egg. Drone bees emerge on Day 24. (And queen cells when they are in need of a new queen has a short development time of 16 days). Varroa Mites and bees co-exist in some regions of the world. But our species of honey bee has little resistance to mite predation. An adult mated female mite hangs onto the body of a worker bee. She bites through the exoskeleton of the bee. She feeds on the bee hemoplymph and may transmit viruses. Varroa Mites can differentiate between the types of bee brood. They can identify whether a larva will be a worker or drone. This is possibly done through pheromones (smell). Mated female mites enter a larval cell and hide in the brood food. Worker bees cap the cell unaware of the mite inside. The female mite crawls onto the body of the baby bee and begins to feed. Sixty hours later, she gives birth to a male mite. After 30 more hours, a female is produced. The adult mite pierces the young bee so she and her daughter can feed. The male mite does not feed. He mates with his sister(s) and dies. When the adult bee emerges, the mother and daughter mite leave the cell and attach to another adult bee. In the European Honey Bee Colony, the adult female mite has time to produce 1 mature daughter maybe 2 in a worker brood cell. However, if she inhabits a drone cell (with a longer time capped in the cell) she can produce 2 to 3 daughters. Hence, Varroa mites prefer drone brood. A bee larva parasitized by mites may emerge with misshapen wings, a shorter abdomen, less viable sperm (drones) and will live a shorter life. Bee brood infested with numerous mites may not emerge from the cells. Drone brood accidentally opened yield an opportunity to check for varroa mites. These look good ! 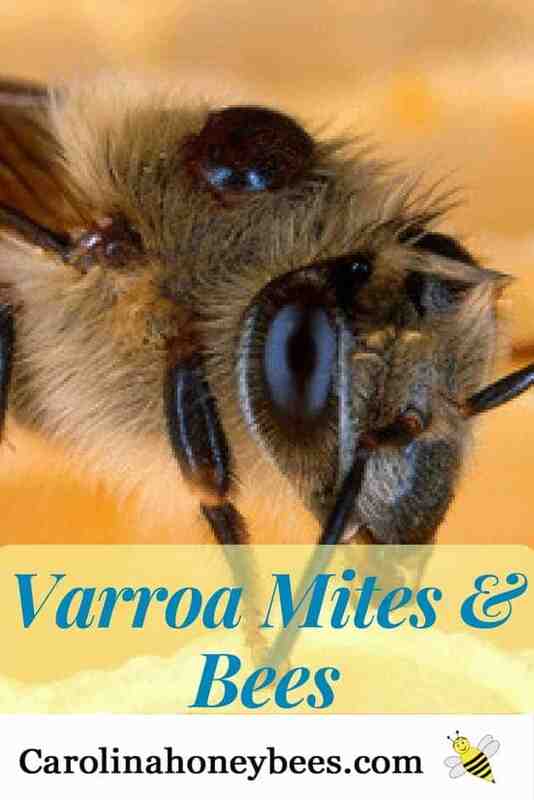 This is an easy way to test for varroa mites without extra effort. How Do You Know if You Have a Varroa Problem? You cannot rely on a visual inspection to determine a mite infestation. Once the beekeeper is seeing mites on bees, things are serious indeed. Beekeepers need a reliable way to estimate how many mites are in the hive. We may never have bee hives that are 100% varroa free. However, testing for varroa mites allows beekeeping to track the level of infestation and learn season trends. Mite loads are higher in late Summer than early Spring. It is not the mites we see causing the most damage, it is the mites we do not see. They are inside capped brood cells damaging the next generation of bees. 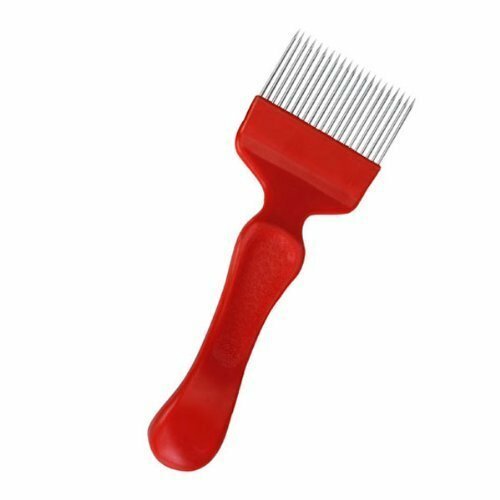 The level of mite infestation is determined by several methods. Each method has drawbacks. Some beekeepers say that you should constantly have a plan in place for varroa. Testing for varroa mites is certainly necessary because you need to know: 1) if you need to treat and 2) if you treated – did it work? Don’t skip this step of checking your colony for varroa levels – even after you have treated. Take 300 bees from the brood area (don’t get the queen !!!). This is about ½ cup of bees – level fill. Pour bees into a wide mouth glass jar. Add soapy water (or 70% alcohol) and shake. Pour liquid through small mesh wire to strain out the bees. Then re-pour liquid through a smaller mesh filer (coffee filter, cotton cloth etc). Count the mites. (A similar method uses Ether in the same manner). Of course this kills the bees you are using!!! Harvest 300 bees as above but don’t get the queen! Pour bees into wide mouth glass jar fitted with a mesh lid. (#8 mesh hardware cloth). Add 1 – 3 Tablespoons of powdered sugar to the jar and gently shake. You may set the jar in the sun for a minute to increase humidity. To determine infestation percentage: Divide the number of mites by the number of bees. If you find 12 mites: 12 divided by 300 = 4% infestation. I am unhappy with anything over 2%. Every day varroa mites and bees share the space inside the hive. In the normal hustle and bustle, some mites will fall. Researchers have determined a guideline for detecting the level of infestation. Most experts recommend that more than 50 mites dropped in a 24-hour period is too many. However, this is a highly contested number because there are so many variables. The number of bees in the hive and the time of year affect drop rate. I tell local beekeepers to do something if they have more than 20 mites in a 24hr drop during Summer. Use the sticky board method by putting Vaseline or cooking spray on a white board. (These are available commercially). Many beekeepers use screened bottom boards as the base for the bee hive. The greased sticky board is placed under the screen bottom for 25 hours and then removed. The screen prevents bees from getting stuck on the board. 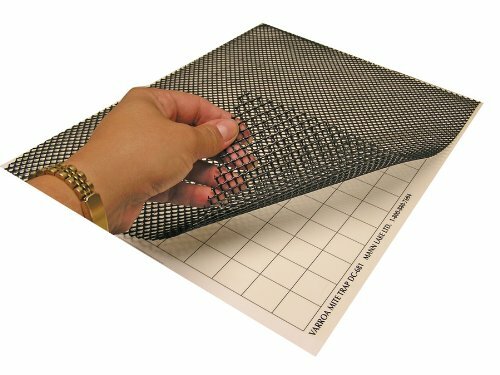 If you have solid wood bottom boards, you can purchase a special screen insert to allow testing. For greater accuracy, you may leave the board in place for 3 days and divide the number of mites found by 3. This will give you an average 24 hr drop. While giving more data, the 3-day method makes counting mites more difficult. In the world of beekeeping, we find 2 situations involving varroa mites and bees. The colonies that have mites and the colonies that have mites but the beekeeper doesn’t think they do. 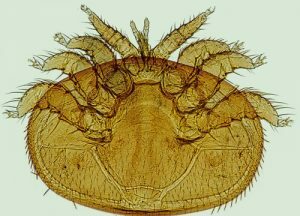 In another post, (READ THAT POST HERE – Varroa Mite Treatments ) I talk about what to do when you find a varroa infestation. Understand that you will have to develop some type of varroa management plan. Much like fleas or ticks in the backyard, varroa mite numbers are worse in some years than others. And they are worse in some areas of the country. Often, varroa mites do not kill a colony until the second year. It takes that long for a strong colony to become so weak and diseased that it will fail. However, do not let anyone convince you that your new colonies have no varroa mite worries. I have had healthy packages build up, make honey for themselves and me, be strong in July and dead by late November. You cannot assume everything is okay. Be a good beekeeper and monitor your honey bee colonies.